This article can help you to remove KingMiner Virus. The step by step removal works for every version of Microsoft Windows. KingMiner is a nasty Trojan horse. This advanced virus is programmed to steal your computer resources and to use it to mine the Monero cryptocurrency. 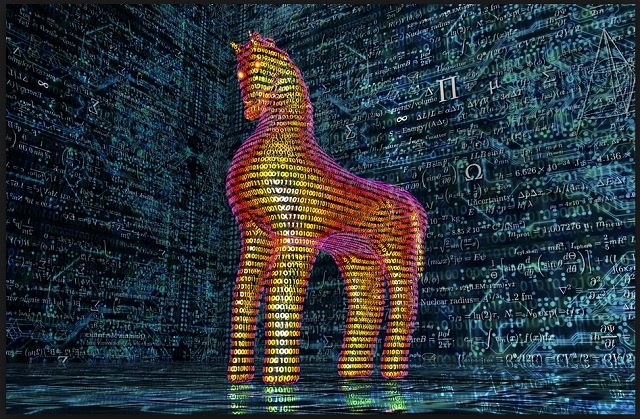 The Trojan slithers into your device and corrupts everything. It spreads around the entire system. It modifies the Registry, drops malicious files, alters settings, and starts processes. This, of course, happens in complete silence. This virus is notorious for its stealth. It uses advanced camouflaging programming and is almost undetectable. The parasite operates in the shadows. Ironically a bug in its programming causes the virus to steal 100% of your CPU power instead of 75%. This mistake makes your system unusable, but it also gives the virus away. The mining causes your system to underperform. It triggers app malfunctions and odd errors. You may find yourself forced to reboot your system repeatedly. A simple restart, however, won’t fix your problem. The Trojan loads together with your OS and always runs in the background. KingMiner forces your system to perform complicated accounting operations for a coin platform. In exchange for its services, your device gets rewarded with fractions of the coin. The longer it serves, the bigger the profit. And here’s the catch. The coins are not transferred to you, but to the hackers’ cyber wallet. The only thing you get from the mining process is a headache and hardware damage. KingMiner is a complete and utter menace. It has no place on your device. Do not waste time in debates. Take action against the invader. Remove the virus ASAP! KingMiner has been spreading actively since mid-June 2018. The virus targets IIS/SQL Microsoft Servers globally. Currently, there is no information about the attack scope, however, infections have been detected in Mexico, India, Israel, Romania, and Norway. The threat actors use brute-force attacks to hack the targeted servers. They would then embed a .sct file that executes on the victim’s machine. A script scans your CPU and downloads a customized payload. As part of its anti-detection strategy, the parasite poses as a .zip file, while it’s actually an XML file. This camouflage prevents automated emulation attempts. The malicious payload slithers into your machine and starts the mining processes. KingMiner is an efficient parasite that is spread worldwide. It is stealthy and very aggressive. It’s unknown where it might strike next. Users are encouraged to enforce a strong security policy. Do not visit questionable websites. Update your software regularly. Download software from reputable sources only. And, be very careful with your inbox. Treat all unexpected messages as potential threats. Bear in mind that the good old spam emails are still the number one cause of Trojan infections. If you receive an unexpected message, don’t open it. Take the time to verify its sender first! KingMiner is a thief. It steals everything your device has to offer and leaves nothing for you. The Trojan makes your system slow and unstable. It causes your apps to freeze and crash. Even your Internet connection gets unstable. The Trojan affects every aspect of your day-to-day user activities. This interference, of course, has a negative effect on your OS. The Trojan is very likely to cause irreparable hardware damage. This parasite uses your CPU at very high temperatures. Your machine overheats frequently. This leads to crashes and eventually to the dreaded Blue Screen of Death and data loss. Speaking of heat, let’s not forget that it was originally electricity. The more heat your PC radiates, the more power it consumes. KingMiner will affect your electricity bills. The coin mining is profitable only if you don’t use your own resources. The hackers are using yours. They are making a mint at your expense. Don’t become their sponsor. Do what’s best for you and your system’s well-being. Remove the nasty Trojan before it causes serious damage. The sooner KingMiner is gone, the better! The KingMiner infection is specifically designed to make money to its creators one way or another. The specialists from various antivirus companies like Bitdefender, Kaspersky, Norton, Avast, ESET, etc. advise that there is no harmless virus. If you perform exactly the steps below you should be able to remove the KingMiner infection. Please, follow the procedures in the exact order. Please, consider to print this guide or have another computer at your disposal. You will NOT need any USB sticks or CDs. Attention! this can break your internet connection. Before you change your DNS settings to use Google Public DNS for KingMiner, be sure to write down the current server addresses on a piece of paper. KingMiner may have the ability to replicate itself, if not completely cleaned. This may require tracking down hundreds of files and registry keys. You can choose to use Spyhunter Professional Anti-Malware Program to deal with any infection that might be lurking along with KingMiner!